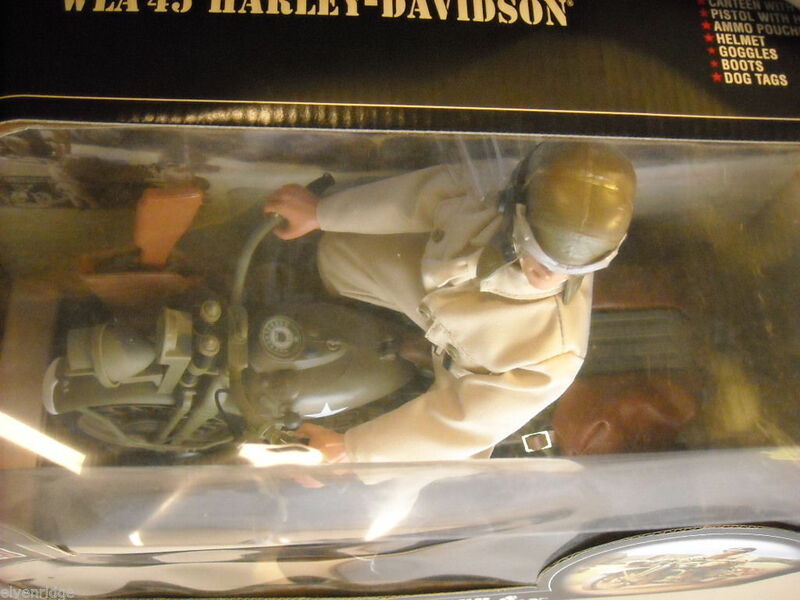 This item is selling for $250.00 on eBay. 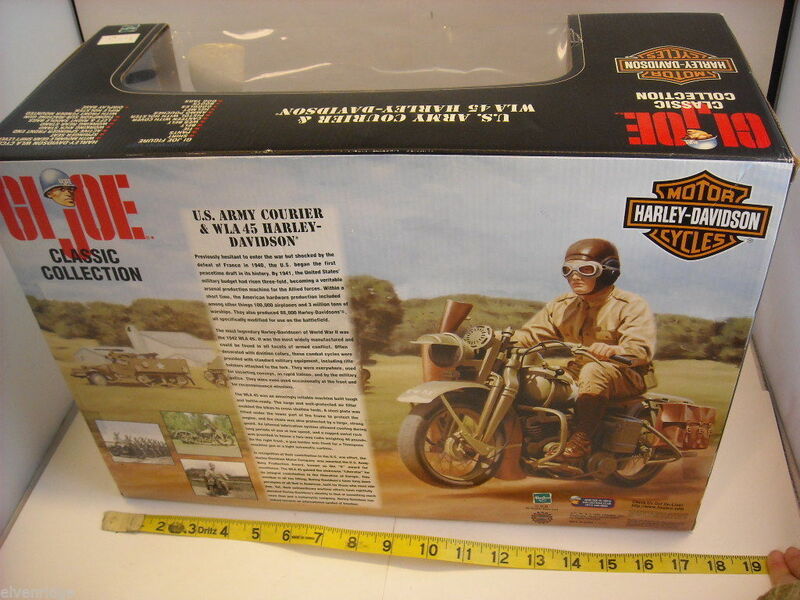 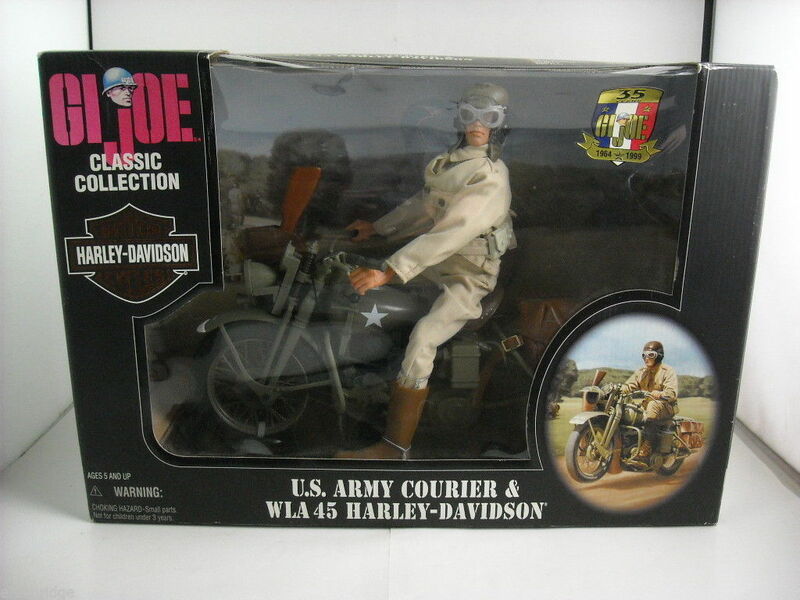 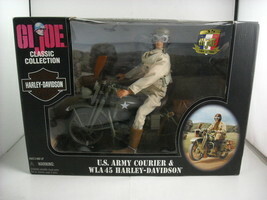 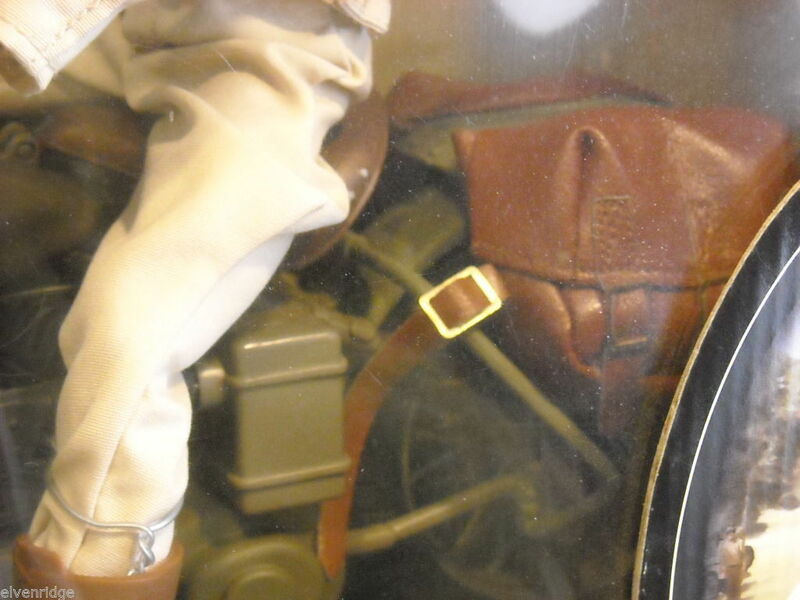 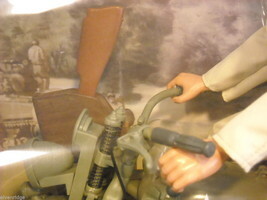 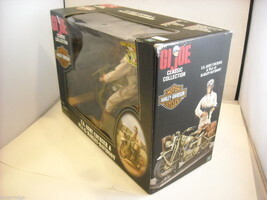 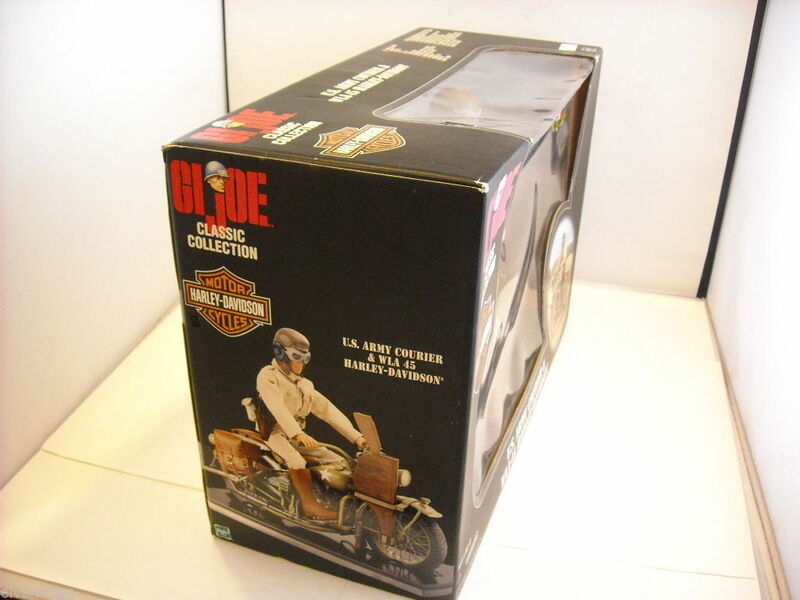 Figure is a U.S. Army Courier riding on a WLA 45 Harley Davidson. 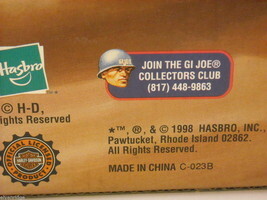 This is the original box and it has never been opened. 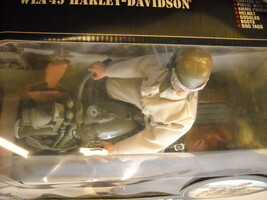 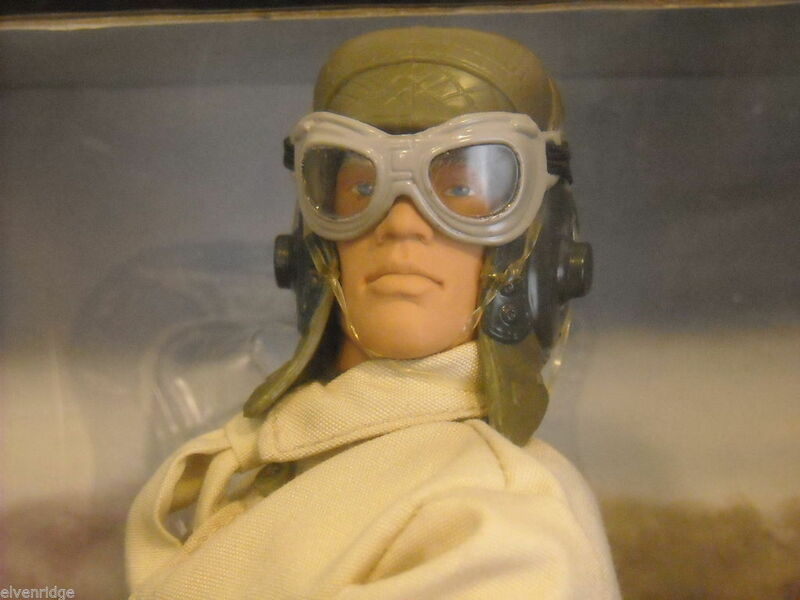 Figure comes with clothes, canteen, goggles, helmet, dog tags, web belt. 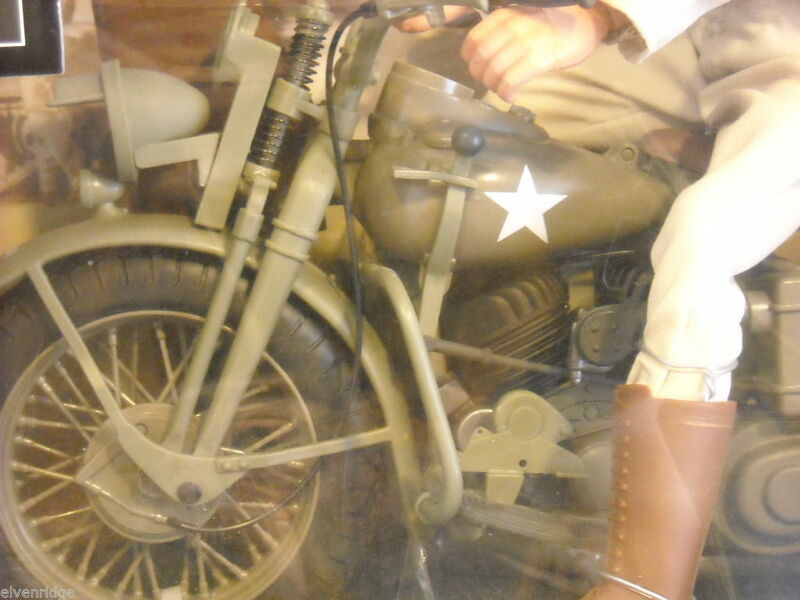 Bike comes with movable gear shift, springer seat and front end, working kick stand and rear stand, left and right saddle bags, Thompson sub-machine gun with rifle holster, and display base. 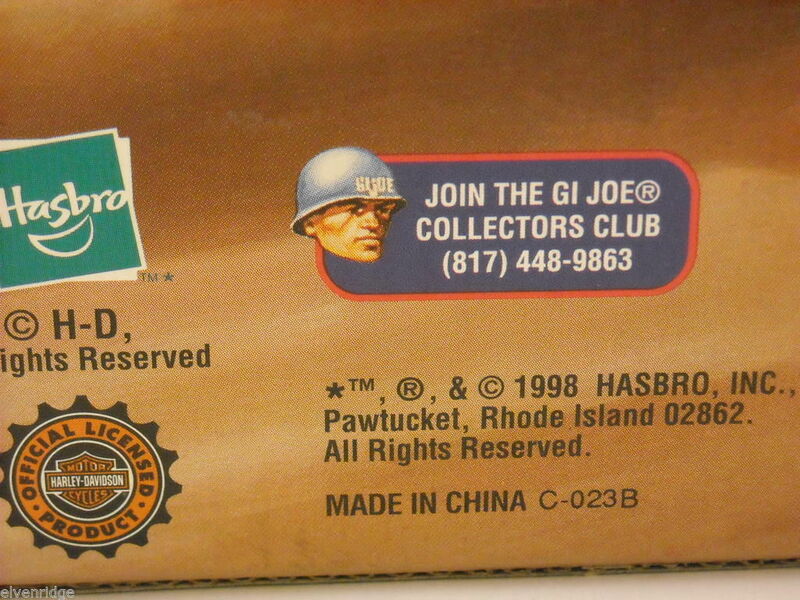 Hasbro circa 1998. 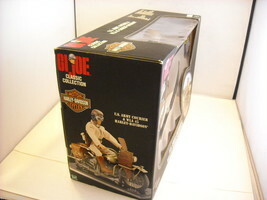 Box measures 17"(H) x 12"(L) x 7 1/2"(W). 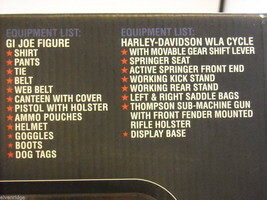 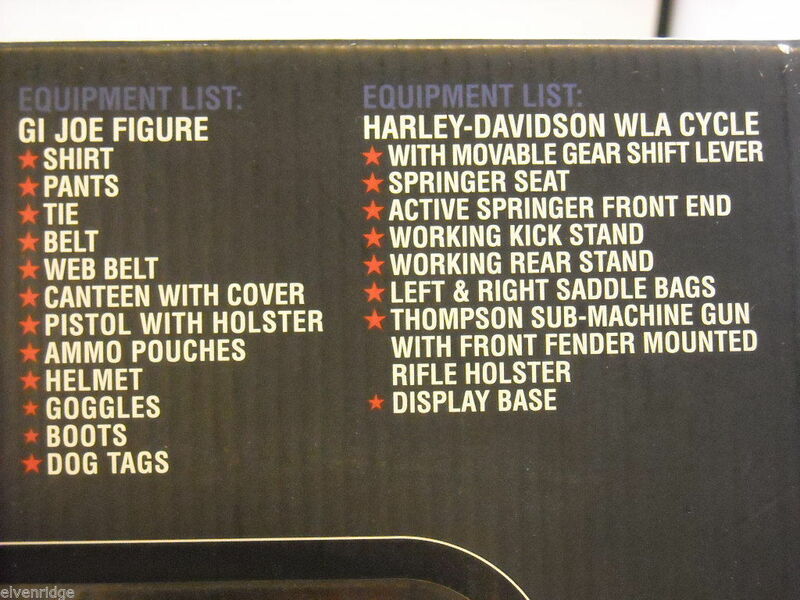 Figure measures 10"(H) x 4"(W) and motorcycle measures 12"(L) x 8"(H).